It’s that time of year-the time when it seems like someone in the family is always sick! We actually have had it a little easier the past couple of years we’ve been homeschooling because my boys aren’t exposed to quite as many germs but it still seems like these months at the beginning of the year are plagued with one ailment or another. 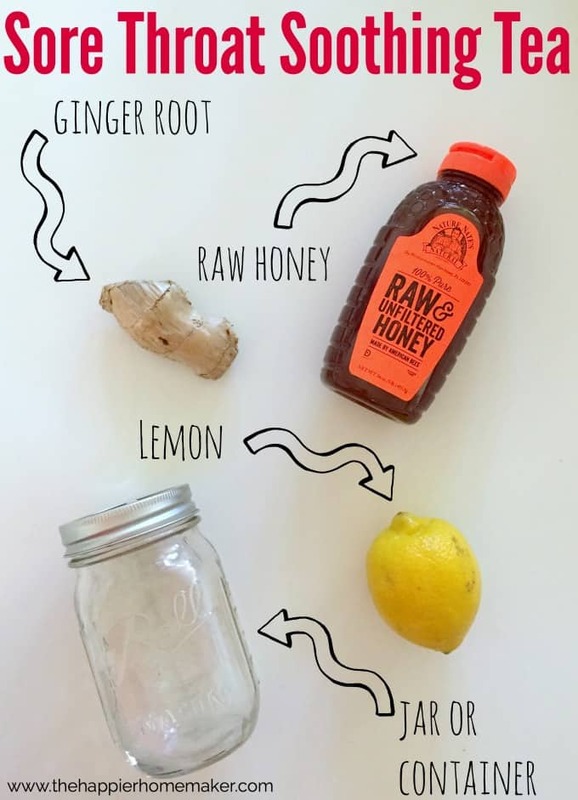 One of my favorite ways to treat minor colds, sniffles and the sore throats that seem to always accompany them is this natural tea blend-made with ginger root, lemon, and honey. 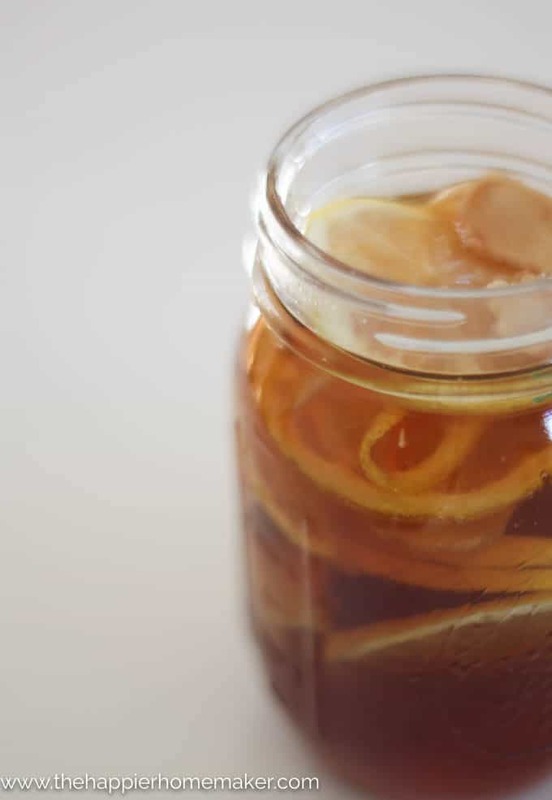 To make this tea simply slice one lemon and about 2-3″ of ginger root as thinly as you can. Layer the slices in a mason jar or other lidded container. Pour 16 oz of honey (raw honey if possible) over the top and seal. Allow to soak in the refrigerator at least 2-3 days before using. To make the tea add about 3 tablespoons of the honey liquid to a mug of steaming water and stir until dissolved. This keeps about a month in the fridge so I try to keep a batch made on hand through the winter months. Disclosure: Okay, I’m going to pull out my background in medical research here, so forgive me…I sited my sources for all of this info but obviously I’m not a doctor and this information is not FDA approved. So there you have it! 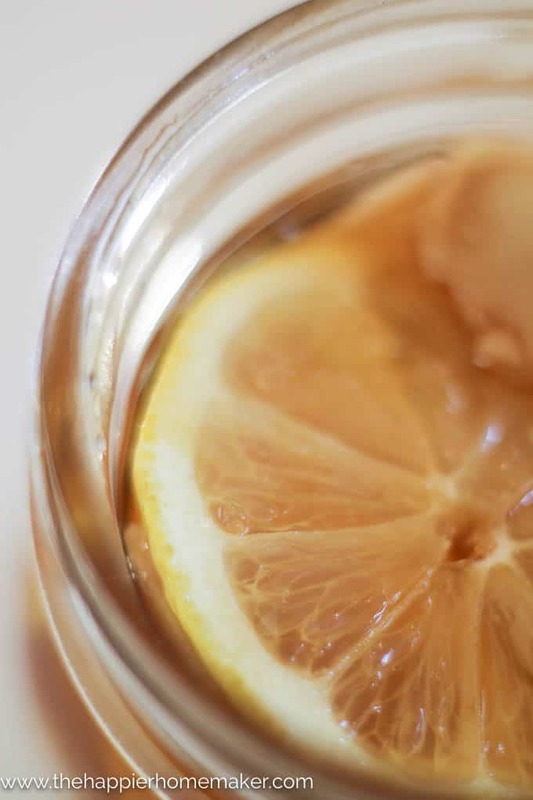 Do you have any other natural remedies to get you through cold season? I’d love to hear them in the comments!